A line of credit is one of the most useful and versatile financial tools available to mid-sized businesses. It allows businesses to borrow funds that have been pre-approved in order to meet everyday operating expenses and meet short-term liquidity needs, as well as make seasonal inventory purchases. Once your business has been approved for a line of credit, you can borrow up to your credit limit whenever you want, for any purpose you want. This can be very convenient when it comes to taking advantage of unexpected business opportunities or simply plugging short-term cash flow gaps. As funds are repaid, they become available again for reuse if you need them. Your company may not always have the freedom to borrow as much money as you want whenever you want to due to the AR collateralization. The amount of money you can borrow may be reduced if the outstanding balance of an invoice ages. The interest rate on money borrowed from a line of credit secured by AR can sometimes be higher than the interest rate on a standard bank loan arrangement. Also, it’s important to establish a relationship with the right lender and set up a line of credit before you actually need to borrow money. This will help ensure the least financial disruption to your company. The effective cost of borrowing can end up being much higher than with a standard bank loan arrangement. Your finance department will have to complete a substantial amount of administrative work to execute AR lending. Restrictive covenants associated with lines of credit, such as the requirement that more money needs to be held in reserve as receivable age, can be very stringent and limit your company’s financial flexibility. Cash management often becomes more complex since you’ll need to factor in the cash flow impacts of borrowing and loan repayment. 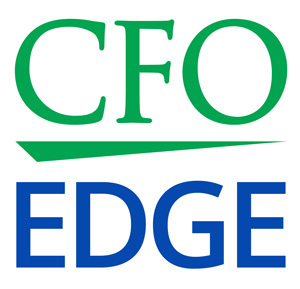 An on-demand CFO from a CFO services firm can help you avoid these negative impacts by using a line of credit in the most efficient and cost-effective way. This high-level financial professional will have lots of practical, hands-on experience in helping other businesses like yours effectively use lines of credit, thus helping ensure that the borrowing exercise is performed as efficiently as possible. Work with the bank to obtain the lowest possible borrowing cost for your business. Leverage other banking relationships — such as mortgages on commercial property, for example — to give you maximum borrowing flexibility. Have established relationships with commercial banks and a list of bank contacts that will help you obtain the most beneficial rates and terms. As a result, your business will enjoy improved cash flow that can help meet working capital needs at the lowest possible borrowing cost and with the most financial flexibility and fewest restrictions. You will also take the first step toward establishing a long-term banking relationship that may set the stage for obtaining an open line of credit in the future. A line of credit is one of the most useful and versatile financial tools available to mid-sized businesses. But there can be challenges in using a line of credit most effectively, especially if the line is secured by accounts receivable. Failing to use a line of credit properly could lead to a number of negative impacts, including a higher cost of borrowing and more complex cash management. A former enterprise CFO acting as a part-time CFO or project CFO can help your business use a line of credit in the most efficient and cost-effective way.